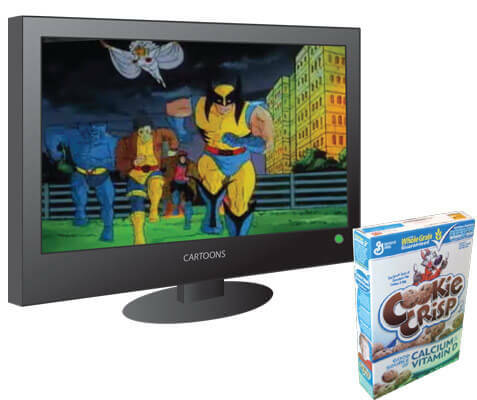 Recreate the childhood fun of watching Saturday morning cartoons with your loved one's favorite old cartoon and kid's cereal. Ask about her/his memories of growing up to find out if s/he had any favorite shows or cereal. Many old cartoons can be found online and on Netflix or Amazon Prime to sit and watch together. Some are also available to download by individual episode or a full season on DVD in better quality if your sweetheart really loved a certain one and would enjoy receiving it as a gift. Add even more fun by making a tent in your living room in front of the TV. 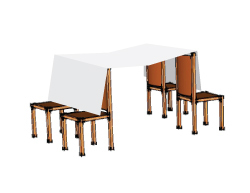 Turn 4 chairs around and throw a sheet over the top to make your tent. You can also place something heavy on the chairs to keep the sheet tight across. Place the couch pillows or bed pillows down on the floor, get the cereal and milk ready, have the video set up, lay down under your tent and call your love into the room to see your surprise. If you have a laptop, you can just place it in the tent with you or hook it up to your TV through the video out port. 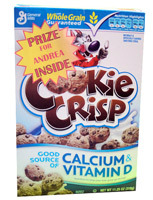 You can also make a personalized cereal box prize label to add a prize of your choice to the inside of the cereal box. Take a trip down memory lane and have fun being kids again for a moment. The online links in the cartoon list below change sources very often or licensing deals end, so some may unfortunately not work. You may find them from another source.